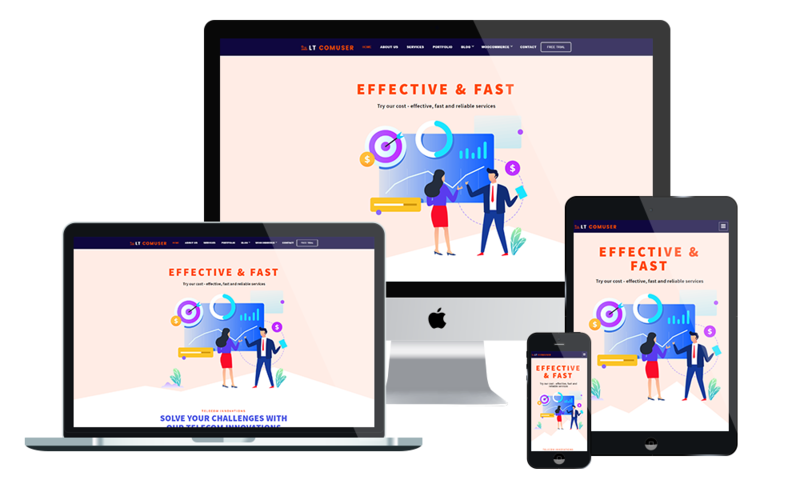 LT Comuser is Responsive Joomla template well-suited for Premium Communications Service Provider websites, as well this excellent template is perfectly used for setting up any business-related website. It's easy to custom and edit content via convenient template parameters. LT Comuser builds with fully responsive layout based on Bootstrap CSS. It has special built-in design optimized for modern mobile devices iPhone, Android and Windows Mobile-based. LT Comuser supports 4 color styles, boxed layout and full width layout, you can easy to see demo via Template Site Tool on demo site. You can extend color styles easily.